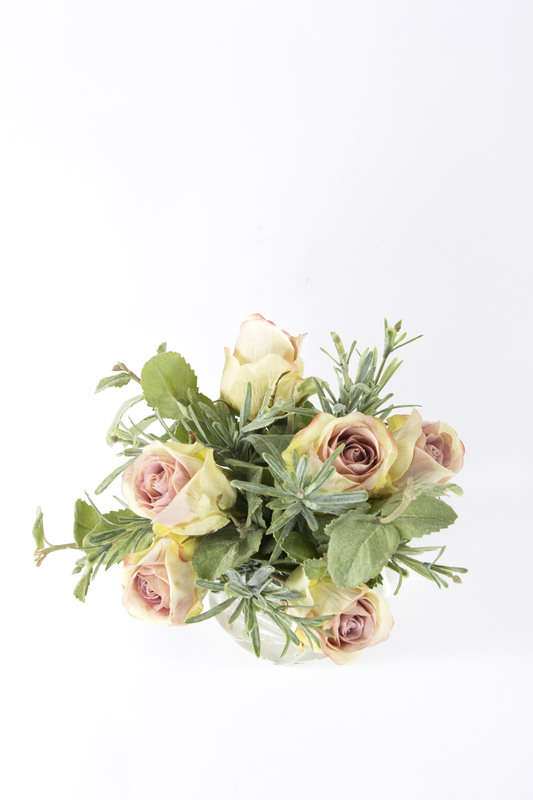 Mid open lilac mauve roses with mint and rosemary. 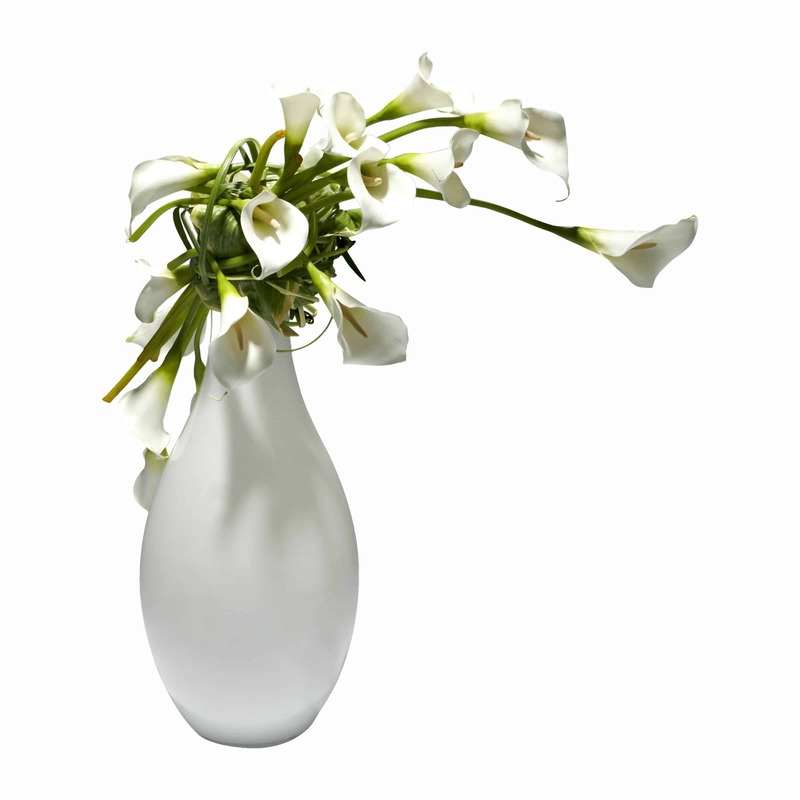 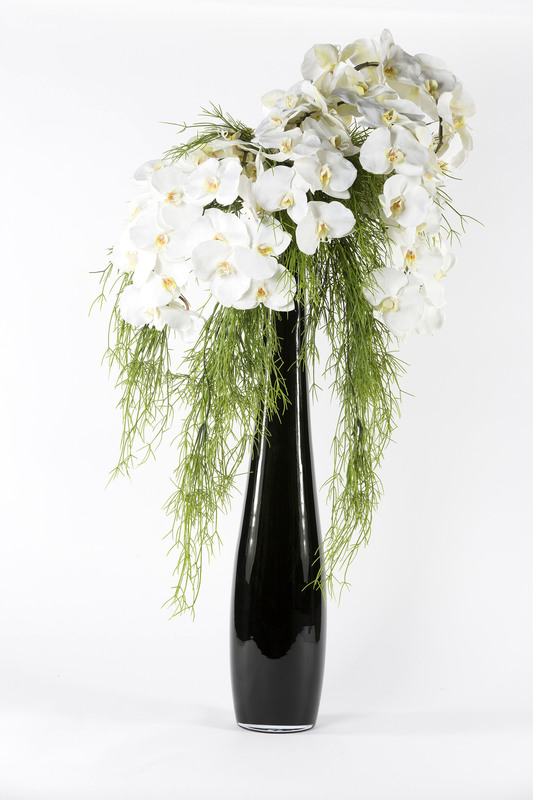 Set in a glass vase with fake water to add even more authenticity. 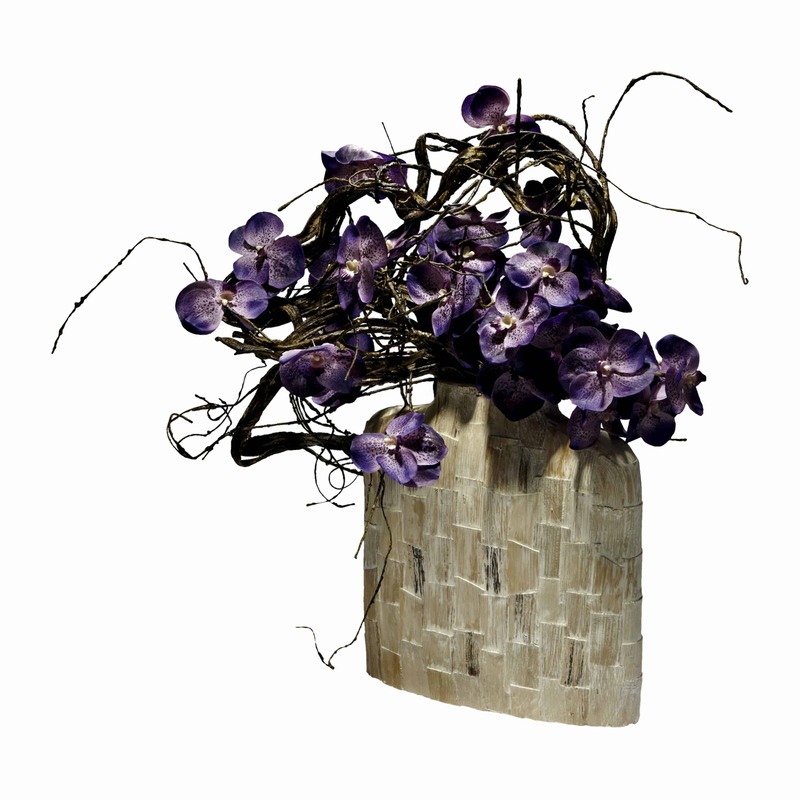 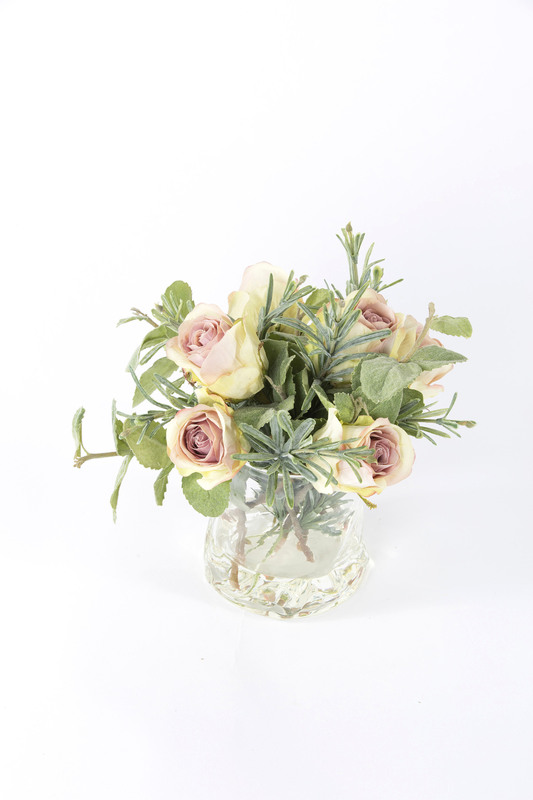 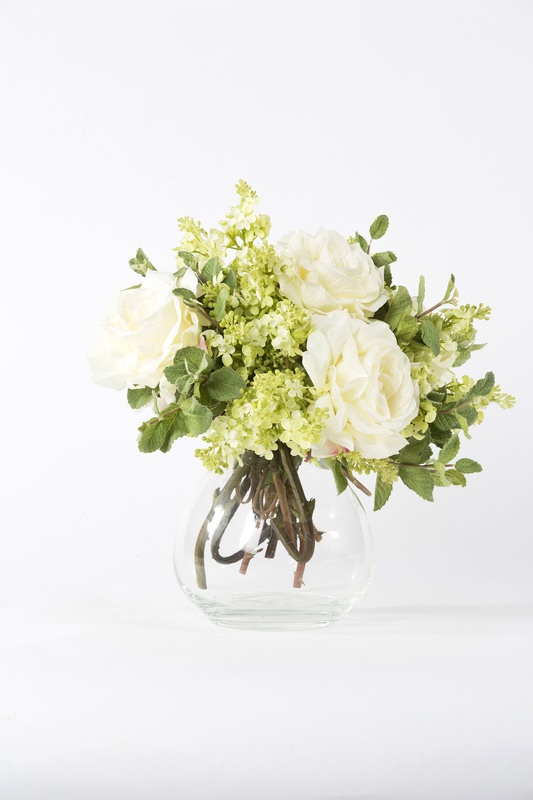 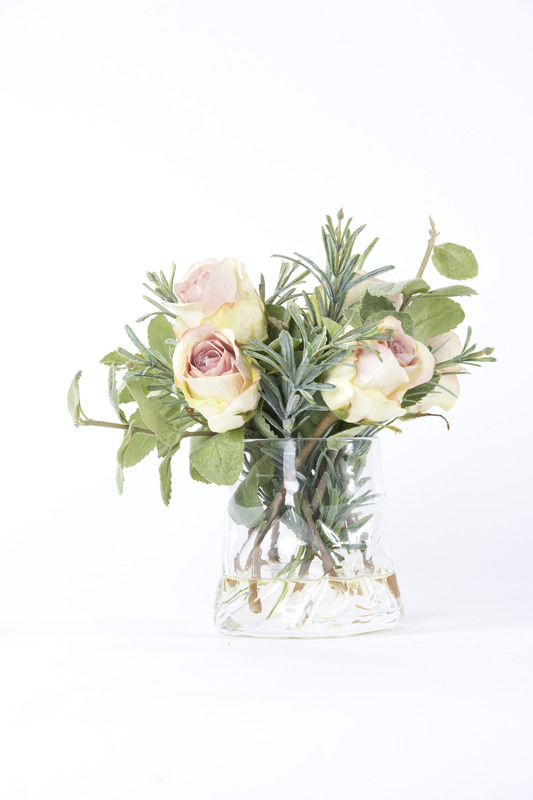 This pretty little faux flower arrangement is perfect for your dressing table.